After successfully establishing the prestigious St. George’s School in New Delhi 54 years ago, as well as establishing Nursing School and Colleges and Muthoot Institute of Technology and Science (MITS) in Kerala in the recent past, The Muthoot Group, one of India’s leading business conglomerates has now its new state of art educational institution – the ‘Paul George Global School’ (PGGS) at New Delhi. 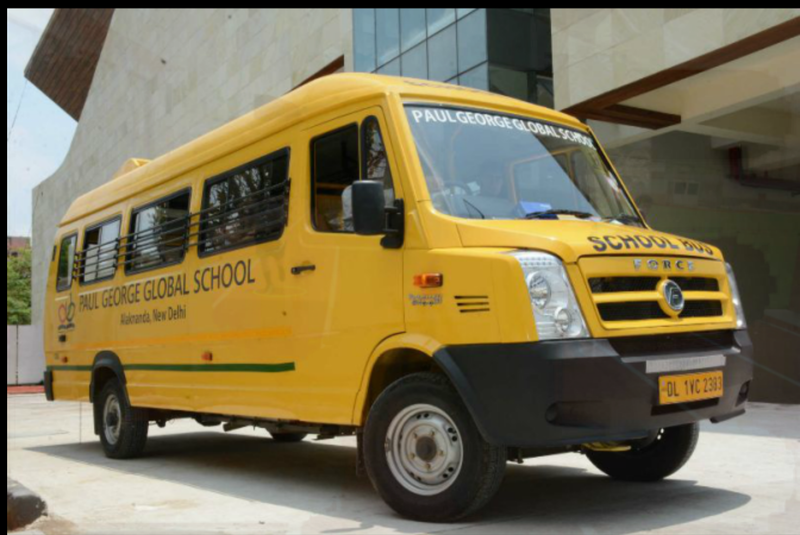 The Paul George Global School campus is located in Alaknanda in South Delhi and has world-class infrastructure, academic and sporting facilities. PGGS is aimed at being unique, exemplar and one of its kind in the country. It is designed and built by the internationally renowned architects Arcop Associates Private Limited (founded in Canada). The infrastructure of the school just blew my mind away. 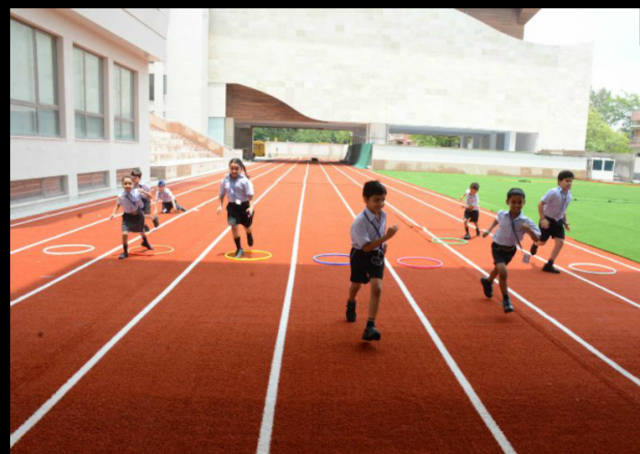 I wish, when we were kids, we had such amazing facilities. The classrooms were colourful and inviting. Each grade had a special name. Some classes were named after birds, others were named after flowers or rivers, etc. Each class has a smart board and projector. There was a library, medical room, cyber room, dance studio where children learn Indian and western dances and music room. The Canteen has a capacity to seat 700 children, where the kids are served nutritious, vegetarian meals. They have a nutritionist on board and a food committee. The school has a great teacher’s program. Each teacher is encouraged to never stop learning and to make the curriculum interesting for the students. They are handpicked and especially trained to deal with extracurricular and activities that boost student’s sense of self. Parents are appreciative of how the school imbibes their kids with a global view and are encouraged to participate. Their parent participation program has also been recognised and awarded! Parents find that the home visits by the teachers also help strengthen bonds with the kids as well as their understanding of the child’s personality. 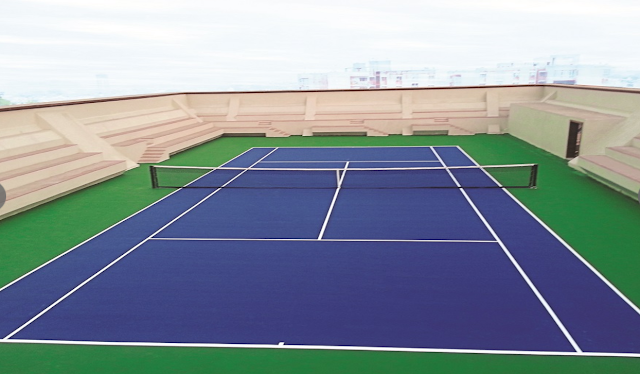 I was amazed to see the world class multipurpose facility of an indoor Basketball, Badminton and Table Tennis court with a provision for automated retractable seating and a stage to host cultural programs, gatherings and stage performances. 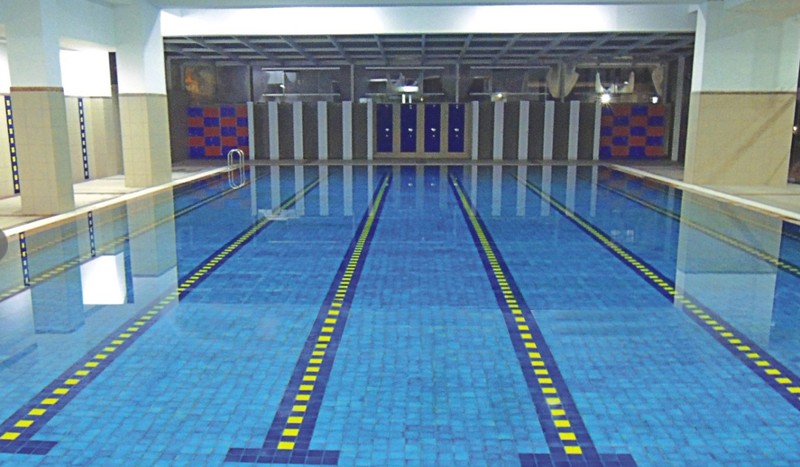 The front block is on stilts and has the provision of an automatic temperature controlled shaded all weather swimming pool underneath and an 8-lane and a 100 metre synthetic track running through the building. There is full-fledged cricket playground with floodlights also. A skating rink along with a ‘Wimbledon type’ tennis court is also there. 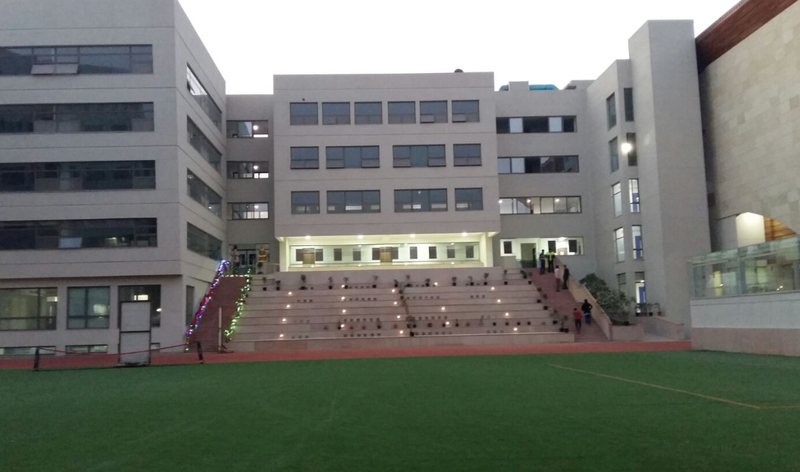 The school has a Wi-Fi enabled eco- friendly campus. The entire initiative was designed to have a minimal carbon footprint. A Rainwater Harvesting System is also operational in the school whereby rain water is collected and drained through perforated pipes to underground areas to recharge water levels and prevent depletion of the ground water table. All this is being done with the intention of developing an environmentally sustainable edifice. 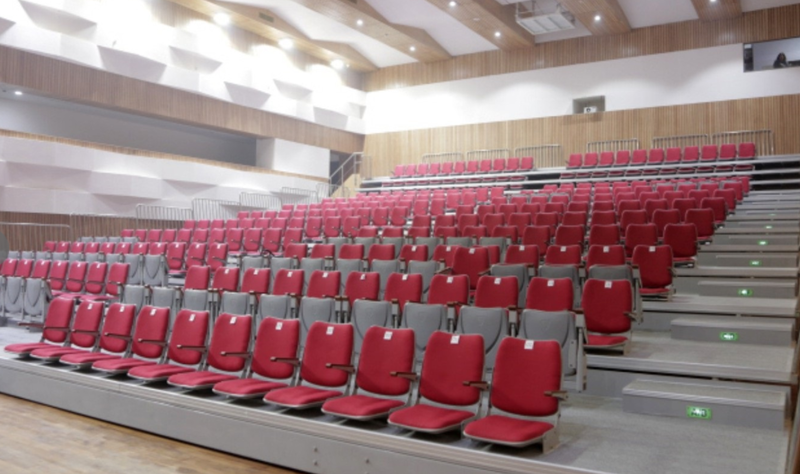 First-of-its-kind, multi-purpose auditorium with automated retractable seating capacity of 700 people to facilitate indoor sports like Basketball, Table Tennis and Badminton. 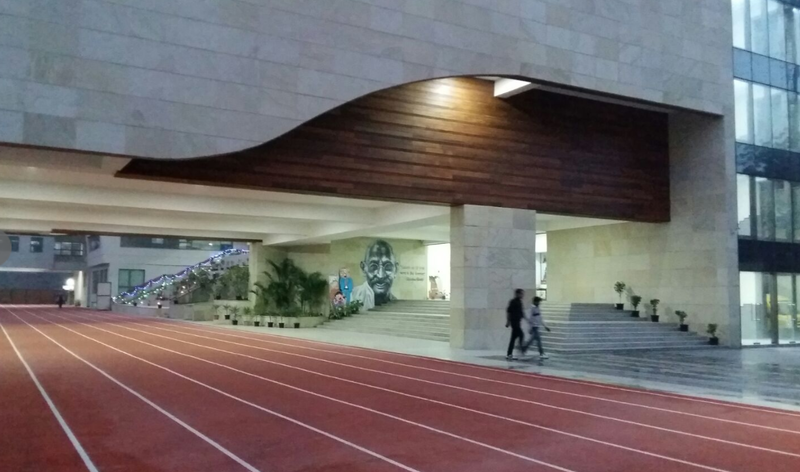 USP of the school is not just focusing on infrastructure. It is curriculum and programs, which are child centric and learning centric. 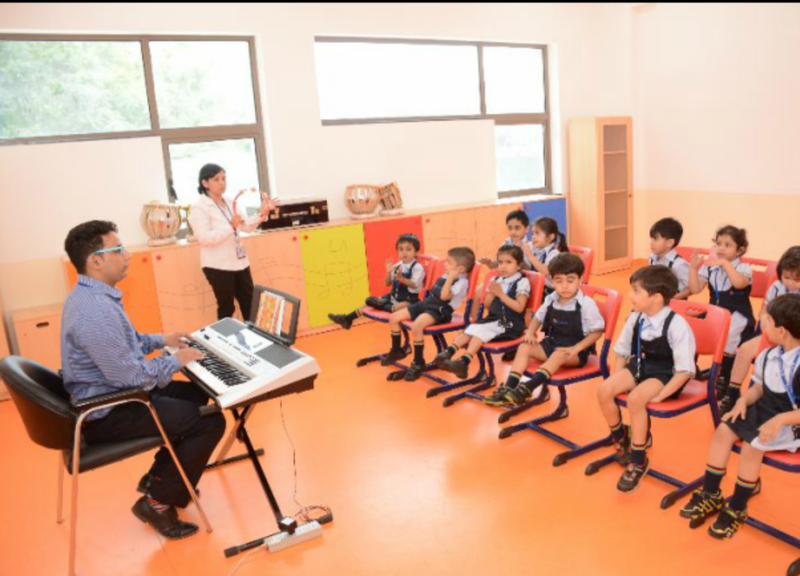 The school has incorporated new programs beyond syllabus. Example of this is an extra mile program for grade 1 and upward. Children share knowledge through projects, presentations, dance, displays and interactive session with parents. A topic for example, a country is chosen and children display their knowledge about it. It is an excellent form of learning. This is all about the infrastructure of the school as you can see in the pictures. But the school is not just about the infrastructure. In the coming blog posts, I will take you through its USP's, its values, its educational system, and excerpts from The Principal. It is a revelation and a pioneer in educational system.